If you are exploring your finance options for real estate investing, the idea of an equity partnership has likely come up at least once. Understanding what an equity partnership is and how it works is a must if you want to truly weigh your options. With an equity partnership you’ll be sharing more than the risk of the loan, you’ll be handing over at least partial control of the property, too. 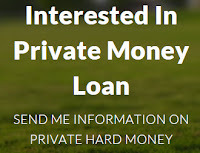 A hard money fix & flip loan allows you to buy and then restore a property; you are borrowing money from a private hard money lender, but not handing over the decision making or control of the actual property. Once you flip the property and repay the money, your obligation is over. An equity partner is just what it sounds like – an individual or entity who shares the responsibility and ownership of the property itself. This partner takes on a larger risk than a lender – and also gets a lot more say in how the deal works. As an equity partner, this provider of capital has a say in pretty much everything about the property, so choose your partner very carefully. By far, the biggest advantage of using a fix n’ flip loan instead of an equity partnership is the freedom you’ll have as the sole decision maker and owner. Since equity partnership is just that, a true partnership, you will not have sole say in how the property is refurbished, which tenants you put in place if you are renting or how you’ll price and market the home to sell if you are selling. A true partnership, where you and your business partner have the same approach and goals and combine your money, assets and strengths to make a deal work is one thing. In this type of situation, you have chosen to work together for many reasons, not just money. When you find an equity partner, your biggest reason to be together is money – and you may not share the same vision or approach to properties. This split vision could cause problems at any point, from the buy to the restoration to the rental or sale. A fix & flip loan puts you in control of the deal and allows you to be the primary decision maker about all aspects of the home. If you find a tenant that feels right, but doesn’t quite meet your standards on paper, you can go with your gut; the opposite is also true. A fix n’ flip loan won’t force you to allow its shiftless brother in law to rent (and trash) one of your properties as part of the deal. If you want true freedom and to be able to call the shots on your real estate properties, a fix n’ flip loan is a much better option than an equity partner.